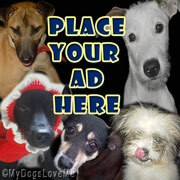 My Dogs Love Me: PetsDirect.co.uk, Will You Send Us a Toy, Too? PetsDirect.co.uk, Will You Send Us a Toy, Too? Yesterday I went to PBU to check how Pam was, but I think she's still in the hospital. Anyway, there recent post was regarding PetsDirect.co.uk late Christmas giveaway. And what's great about this is, they're willing to ship it worldwide, free of charge. All we have to do is mention them in our blog and send them our preferred pressies at sales@petsdirect.co.uk. I went to the site to check out their selection. And I saw these wonderful Kong toys. We don't have those even in the big malls in our area, so I hope they can send 'em here where I live. Once you've mentioned PetsDirect.co.uk in your blog, all you have to do is go to their website and select the item(s) you want to be sent to you by emailing them the following. 1. The link of the post where you mentioned them. 3. The item(s) worth £10/$15 you wanted. So, let's share the good news. Happy shopping to all! I hope Pam gets better soon. And lastly, I'm glad to say that Pip's cardio check-up went well. Thanks for coming to my blog! I visited the web site too. It looks great. Wow! Lets hear it for PetsDirect.co.uk!! We hope Pam is better soon, too. And yay for Pip!!! I saw this on PBU - sounds pretty neat! I'm a bit lazy to partake, but I hope you get your Kongs. I'm surprised Kongs aren't in shops there. Weird! Pleased to meet you Haopee. What a cool name you have!! I've also picked out my toy but mum says she will take it when it comes and give it to me for my Birthday! She is using the argument that I got TONS of toys for Christmas!!! The nerve! Yay!! New Kong toys on the way for you - that's pawsome buddy!! You did well to sniff out that deal!! What a cool idea from petsdirect! What is a google follower button? Mums not too great when it comes to thinks like that! It is late and we were just heading to bed but we wanted to drop by and see how you were. Hope you get the kong and we are gonna check the website out tomorrow. @Matilda: Hi Matilda. I hope you make new posts. You have a pretty interesting life living in Japan. @BM: Have you picked something for Freddie and Gloria? @Nola: Wow! I can't wait to see you new jacket. @Meowmeow: I do hope we do get those Kong. @Tegan: I know, it's a little surprise that we don't have Kongs here! I guess it's because they're a little expensive for the masses. I understand your mom ^_^. Don't worry. I'm pretty sure whatever your mom picked for you, you'd have fun playing for days. @Snoopy: Thanks. I do hope you check it out too. They really have a good selection. @2D & D: I'm assuming that you're using Blogger to post in the internet. Just go to the layout area, click on add a gadget and look for "Followers". @Bert: Thanks, Bert. I hope you find Allred. I hope he's just hiding. See you later. We've turned of word verification of temporarily, but we've limited comments to registered users.